The territory of Ukraine was a key center of East Slavik culture in the Middle Ages, before being divided between a variety of powers. 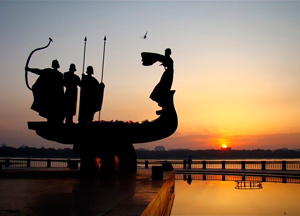 However, the history of Ukraine dates back many thousands of years. The territory has been settled continuously since at least 5000 BC and is a candidate site of the origins of the Proto-Indo-European language family. 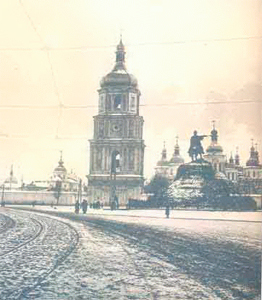 The city of Kiev was established during the time when area around the mid- and low-Dnipro was the part of the Khazar state. This information came from the local legends because no written chronicles from that period are left. The main reasons for that might be the fact that during the Christianization of the Kievan Rus and later occupation of Ukraine, all earlier religious and historical publications of that land were destroyed. In 882, Kiev was conquered from the Khazars by the Varangian noble Oleg who started the long period of rule of the Rurikid princes. During this time, several Slavic tribes were native to Ukraine, including the Polans, the Drevlyans, the Severians, the Ulichs, the Tiverians, the White Croats and the Dulebes.. Situated on lucrative trade routes, Kiev among the Polanians quickly prospered as the center of the powerful Slavic state of Kievan Rus. In the 11th century, Kievan Rus was, geographically, the largest state in Europe, becoming known in the rest of Europe as Ruthenia (the Latin name for Rus'), especially for western principalities of Rus' after the Mongol invasion. The name "Ukraine", meaning "in-land" or "native-land", usually interpreted as "border-land", first appears in historical documents of 12th century and then on history maps of the 16th century period. The meaning of this term seems to have been synonymous with the land of Rus' propria—the principalities of Kiev, Chernihiv and Pereyaslav. The term, "Greater Rus'" was used to apply to all the lands ruled by Kiev, including those that were not just Slavic, but also Uralic in the north-east portions of the state. Local regional subdivisions of Rus' appeared in the Slavic heartland, including, "Belarus'" (White Ruthenia), "Chorna Rus'" (Black Ruthenia) and "Cherven' Rus'" (Red Ruthenia) in northwestern and western Ukraine. The Soviet Union SSSR was a constitutionally socialist state that existed in Eurasia between 1922 and 1991. On 28 December 1922, a conference of plenipotentiary delegations from the Russian SFSR, the Transcaucasian SFSR, the Ukrainian SSR and the Byelorussian SSR approved the Treaty of Creation of the USSR and the Declaration of the Creation of the USSR, forming the Union of Soviet Socialist Republics. These two documents were confirmed by the 1st Congress of Soviets of the USSR and signed by the heads of the delegations, Mikhail Kalinin, Mikha Tskhakaya, Mikhail Frunze, Grigory Petrovsky, and Aleksandr Chervyakov, on 30 December 1922. On 1 February 1924, the USSR was recognized by the British Empire. The same year, a Soviet Constitution was approved, legitimizing the December 1922 union. The Soviet Union was a single-party state ruled by the Communist Party from its foundation until 1990. A union of 15 subnational Soviet republics, the Soviet state was structured under a highly centralized government and economy. The Russian Revolution of 1917 caused the downfall of the Russian Empire. Following the Russian Revolution, there was a struggle for power between the Bolshevik party, led by Vladimir Lenin, and the anti-communist White movement. In December 1922, the Bolsheviks won the civil war, and the Soviet Union was formed with the merger of the Russian Soviet Federative Socialist Republic, the Transcaucasian Socialist Federative Soviet Republic, the Ukrainian Soviet Socialist Republic and the Byelorussian Soviet Socialist Republic. Following the death of Vladimir Lenin in 1924, Joseph Stalin came to power, leading the USSR through a large-scale industrialization program. Stalin established a planned economy. In June 1941, Nazi Germany and its allies invaded the Soviet Union, breaking the non-aggression pact, which the latter had signed in 1939. After four years of fighting, the Soviet Union emerged victorious as one of the world's two superpowers, the other being the United States. The Soviet Union and its Eastern European satellite states, known as the Eastern Bloc, engaged in the Cold War, a prolonged global ideological and political struggle against the United States and its Western allies. The conflict was ultimately abandoned in the face of economic troubles, as well as both domestic and foreign political unrest. In the late 1980s, the last Soviet leader Mikhail Gorbachev tried to reform the state with his policies of perestroika and glasnost, but the Soviet Union collapsed and was formally dissolved in December 1991 after the abortive August coup attempt. The Russian Federation assumed its rights and obligations. 1100 - 700 BC — the Cimmerians (ancient equestrian nomads) are on the territory of contemporary of Ukraine. 700-300 BC - Scythians (people of the Iranian descent group) live on these lands. Half of the 3rd century BC — the Scythians are subjected by the Sarmatians. 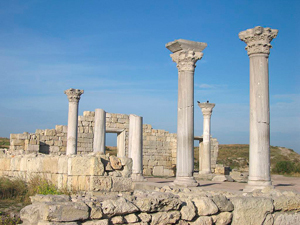 The 7th century – 5th century BC — the polis ("City-States") Greeks in the Black Sea. Chersonese was one of the former colonies Greek, his remains are in Sevastopol. The 3rd century BC - year 453 - the tribes of Getae, Celts, Goths and Huns in the territory of contemporary Ukraine. The year 482 - the founding of Kiev. Late 12th or early 13th - was written Chronicle, the oldest Slavic manuscript. At this time the Eastern Slavs were mentioned. 880 - mid-12th century - Kievan Rus or the Old Russian State, the first East Slavic state, was directed from the city of Kiev. The Grand Prince of Kiev controlled the lands around the city, and theoretically subordinate relatives ruled in other cities and paid tribute. The apogee of his power came during the reign of the Prince Vladimir the Great and and Prince Yaroslav the Wise. The 12th century - the feudal Division of Kievan Rus into several Principalities. The 12th -15th centuries - the Principality of Galicia-Volhynia, the successor of Kievan Ruthenian State. 1240 1502 - the Golden Horde (a Mongol State covering part of the current Russia, Ukraine and Kazakhstan) the Christian territories were considered areas of little interest while they continued paying his tribute. The vassal States never actually joined the Horde and Russian leaders soon obtained the privilege of collecting the Tatar tribute themselves. The end of the 15th century - early 16th century - Foundation of the Zaporozhian Sich, the center of the Cossacks with founded on the island of Khortytsia, fortified military camp. 1649 - 1775 The Hetmanate or Hetmanate, a Cossack State located in the Central and northwestern regions of the current Ukraine. 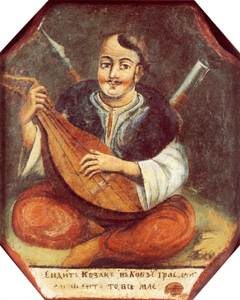 He was established as a result of the Khmelnytsky rebellion directing the Cossack regiments of the Zaporozhian Sich and troops composed of Ukrainian population. 1721 - 1917 the existence of Imperial Russia with the part of integrated Ukraine. 1917 - The fall of Russian czarism, Ukraine was established in a duality of powers between the interim Government of St. Petersburg and the Rada (Assembly) Ukraine Central (1917-1922). 1921- Famine due to the disastrous agricultural practice introduced by the existing regime - the reduction of the fields of sowing in agricultural regions due to the implementation of the policy of "war communism". 1.5 To 2 million died only within Ukrainian peasants. 1932-1933 - the famine was not a casual phenomenon of natural or social origin. It was a consequence of the terror of hunger, applied by a totalitarian State with a particular purpose, genocide. 7 To 10 million people died. From 1941- to 1945 - World War II, the territory of Ukraine. 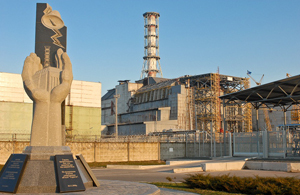 On the 26th of April 1986 - the fourth reactor of the Chernobyl Nuclear power plant exploded at 1: 23 a.m. local time. Basically I was experimenting with the reactor to check if the energy of the turbine could generate enough electricity for refrigeration failure bombs (up to pull the diesel generators). But a succession of errors led to a huge rise in power and a huge explosion that took the lid of the reactor core by issuing a huge radioactive cloud across Europe. 1991 - Ukraine gained independence after the dissolution of the Soviet Union. 1996 - The introduction of the new currency, the hryvna. 2004 - The results of an election described as fraudulent were the kick-off of a series of mass protests that came to be known as the Orange Revolution. They managed to reverse the results of the elections and avoid assuming the candidate backed by the ruling party. 2010 Victor Yanukovych is the President of Ukraine.